The British Standards Institute has announced that a new standard for inspecting trees for bats will be introduced over the next year (BS8596). 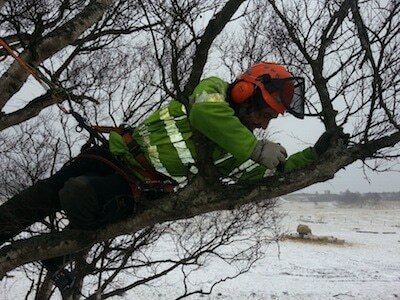 Arbor Vitae Arboriculture are ahead of the game somewhat, in that we already carry out highly detailed and professional inspections of trees for bats. Carried out on behalf of SP Energy Networks, the inspection was a legal requirement to ensure no bat roosts would be disturbed in the upgrade of the power-line. 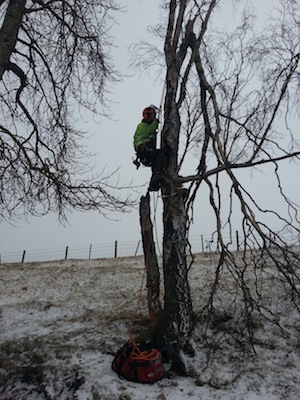 Mike was required to climb several exposed Birch trees with bat roosting potential, using an endoscope to inspect the tree cavities and branches for signs of bats, all the while faced with horizontal snow and and typically Scottish Winter temperatures. Find out more about our inspections for bats in trees and the new British Standard to cover surveying trees for bats. 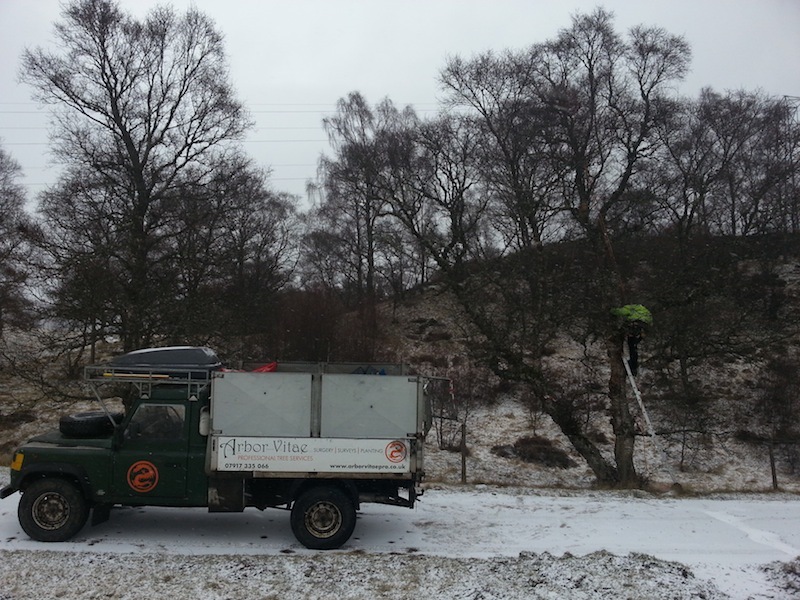 To get in touch about having your trees inspected for safety, follow this link: professional tree inspections.